Sebastián Madrigal is a young journalist writing for a little known Sunday newspaper. One of his articles, however, attracts a lot of attention: “The Necronomicon” about a book that no-one is sure is real, or whether it was just invented by H.P. Lovecraft. 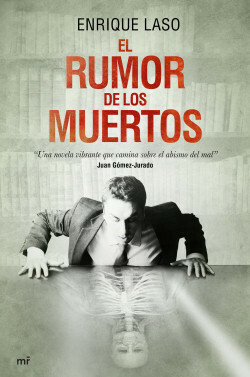 The book reportedly has a malign power that can bring the dead back to life, take one’s life away, or grant immortality. A bestseller on the Internet: more than 125,000 legal downloads across the world. The novel has been translated into English and met with great success. This story has all the elements needed to capture a large audience: a good plot, good characters, good scenes and a pace that grips the reader right from the beginning.